Make fast and simple arrengements and take collective decissions through WhatsApp! We are pretty sure that almost everyone has sometimes tried to arrange a meeting through a WhatsApp group. If there are more than four or five people in a group it will probably become impossible. There will be people that does not answer, or people that does not want to read all the answers. Although there are some "solutions" in the market, they all involve a web page or an external app which requires registration through e-mail and "obligates" you to use that app. We wanted to create an app that could be launched alongside WhatsApp, but since that is not allowed by WhatsApp we have made an app that approaches as much as possible to that concept. 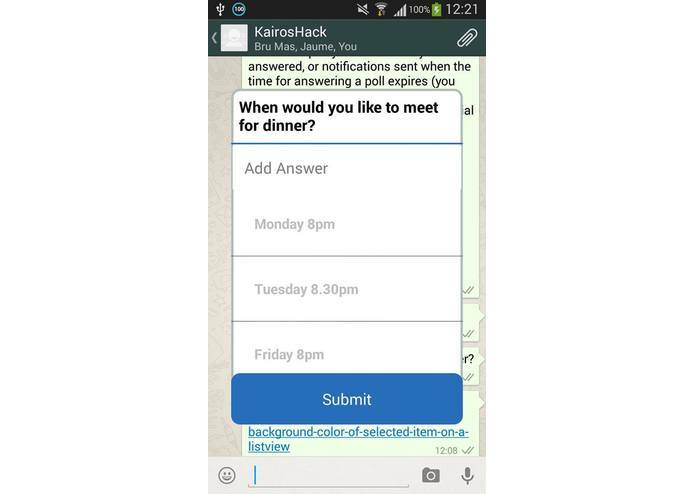 Even though needing to launch the app for creating a poll, for answering it or adding questions you just need to click a custom link that is sent through the WhatsApp group and that opens a kind of "pop-up" window showing the title of the poll and the options available. While this window is active, the WhatsApp windows can be seen in the background, so you feel that you have never left the app. And if you touch anywhere outside the window you are inmediatly back to WhatsApp. 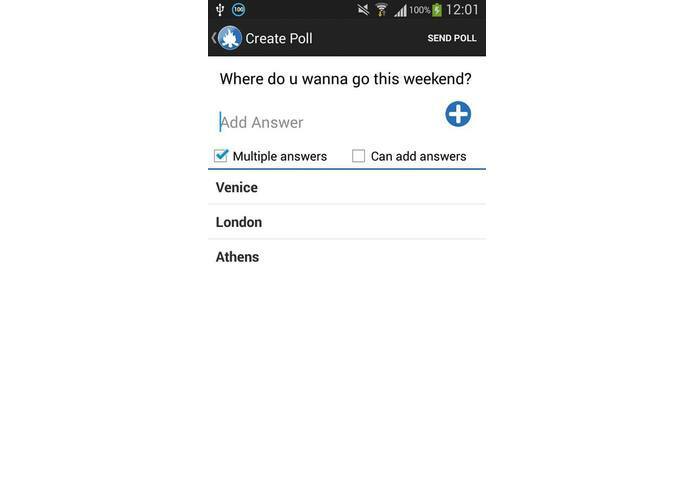 Some of the fancy funcionalities of our app (some still in development) are notifications when somebody else answers a poll you have already answered, or notifications sent when the time for answering a poll expires (you can set the poll duration when you create it). Besides, even though the initial idea was creating an app for using within WhatsApp, the custom link can also be sent through FacebookMessenger, Telegram or any other app that allows text sharing. Finally, a web service is expected to come soon, letting you answer and create polls from a computer. 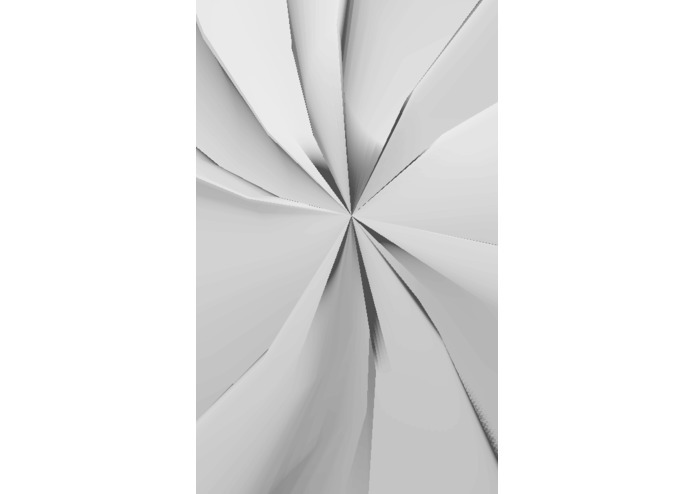 We will surely keep the simplicty and ease of use in it, as much as we have tried to keep it in our Android app.